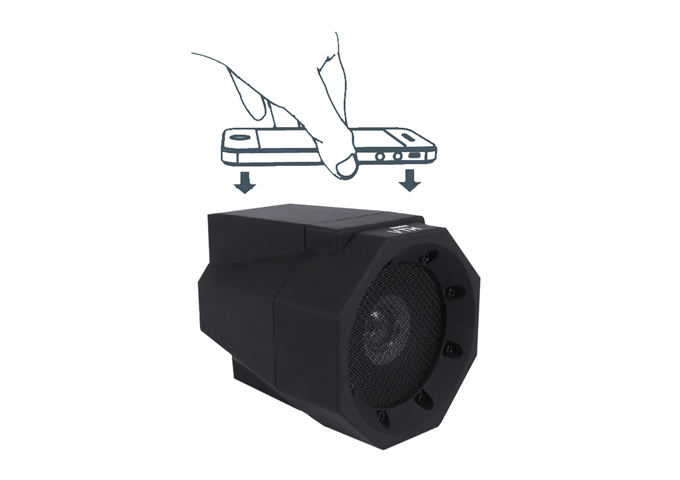 Just touch with the smartphone for instant amplification. No cable. No pairing. DC 5V in (Micro USB).